Hello. I'm Charlie Markarian, owner of The Pipe Doctor. The Pipe Doctor has been in our family for 51 years. We've been repairing and installing plumbing and heating equipment for our valued customers in the mid-Cape Area since 1978. We've kept our loyal customers over the years because we provide them with quality service and high value. We've earned an A Rating with our local Better Business Bureau, and we guarantee all labor and parts for a full year. We are fully licensed, bonded, and insured. As our motto says, we're "Your Reliable Local Plumber." We save you money by doing the job right the first time. We also give you an exact price before we start. A visit with The Pipe Doctor will bring you relief, not a new headache! We also offer discounts to our Seniors - please ask me about that. For your convenience, we accept checks and all major credit cards. When you call, you'll reach a live person - me, Charlie. You will be able to talk over your plumbing problem with me and on most jobs, I can get you Same Day Service -- FAST RELIEF! If you want to save energy and save money on your utility bills or fix a plumbing issue yourself, take a look at our tips on plumbing and questions by people who asked The Pipe Doctor. 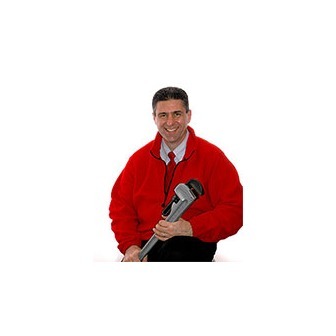 If you have questions about the plumbing in your home or business or would like to discuss a plumbing or heating issue, please give me a call at (508) 775-6670. I look forward to your call.